Are you excited for Halloween?? I know I am! I love Halloween! It's one of my favorite holidays even though I'm not the kind of person who enjoys being scared. I don't like haunted houses, and I don't like monsters or goblins or scary movies. So why do I like Halloween? Well...I love the costumes! And the costume parties! And all of the treats and the candy!! I love the idea of getting to be someone different for a day and the idea that we can dress up as something outrageous and everyone loves it! Oh...and did I mention the candy? I feel like I should be chomping on a bowl of candy corn as I write this...hmmmm....I see a grocery store run in my immediate future. 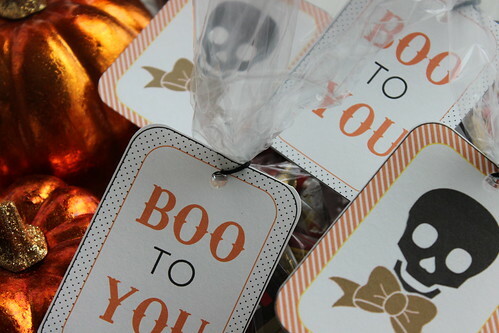 I love putting together little goodie bags of candy for all my friends and neighbors. 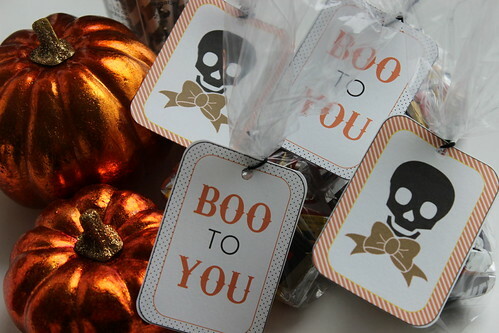 I wanted to share with you the gift tags I made for the candy bags this year! And they are your's to take and make your own little goodie bags or use as gift tags! :) Enjoy! 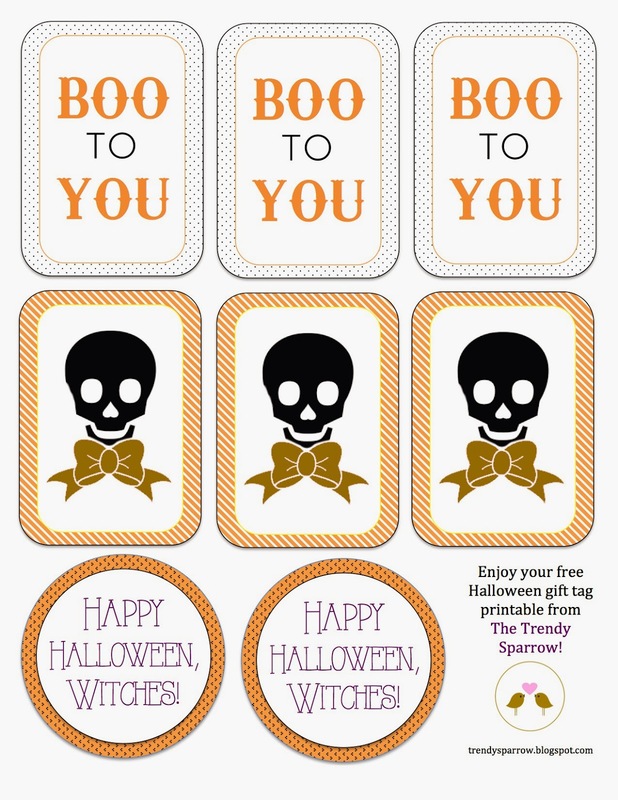 These adorable printable gift tags are available for you to download as a PDF here.